This is a very simple dish to make. I managed to cobble this together, after a busy day (and after the gym, mind you!) with what I had in the fridge. I wanted something flavourful yet easy to make, and salty, to go with the Herb Rice (Nasi Ulam-inspired rice dish) that I made to start my new healthy veggie-laden diet. I have featured Umeboshi before, when I found a packet in Salamat. 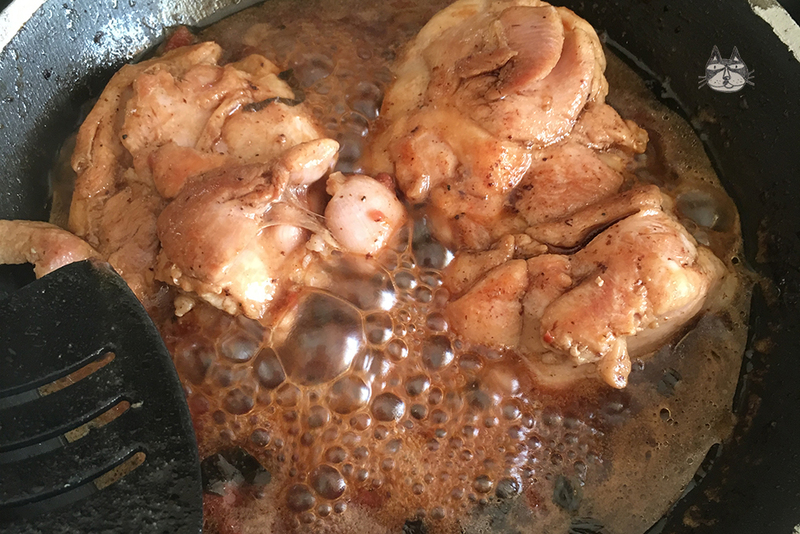 I had some skinless chicken thighs at home, and a packet of umeboshi in the fridge that I had purchased the day before. First, I seasoned the chicken thighs with some pepper (the umeboshi and soy sauces will add enough salt to the dish). 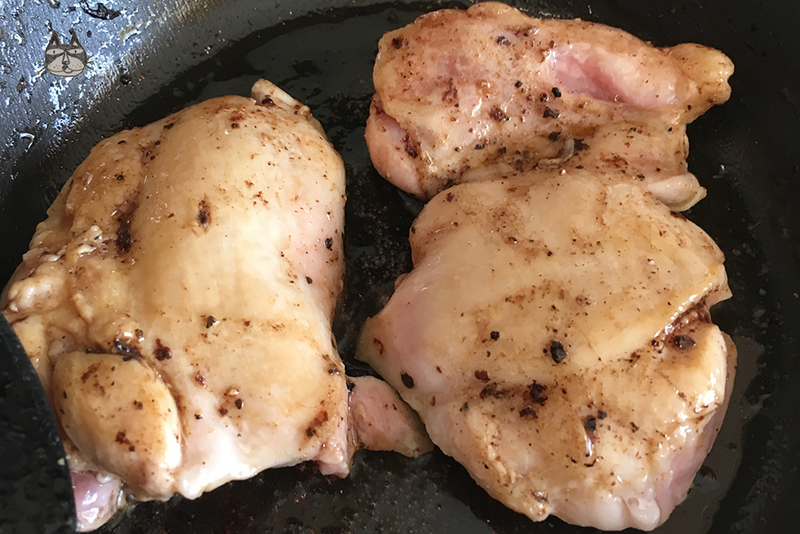 I cooked the chicken in some olive oil, and browned the outside of the chicken first before I added the light and dark soy sauces to season the chicken. With a bit of water to prevent burning, add the chopped umeboshi (and the shiso leaves) and cook until the sauce thickens. You can glaze the dish with some sake, if you want. Or dry white wine. Remove from the pan, and serve with rice or noodles. Easy peasy. You can attempt this with other types of meat or seafood. Try it out and tell me what you think. Maybe next time I will try the umeboshi out with turkey or fish. Lightly season the chicken thighs with some freshly ground pepper. Heat the pan on medium, and add the olive oil. Brown the chicken thighs for about 3 minutes on each side. Season with the soy sauces (dark and light) and cook gently until the sauces have evaporated slightly. Add the chopped umeboshi, and stir. Add water to prevent burning. The water will help to make the sauce. Cook until the sauce has thickened and turn glossy. Check to make sure that chicken is fully cooked. You can now remove the chicken thighs and serve with the sauce ontop of the chicken. Optional: before pouring the sauce on the chicken, you can glaze the sauce with a tablespoon of sake or dry white wine and continue to reduce the sauce until it thickens. Serve with some rice, or noodles.